Based on the legendary SYSTEM-100M modular synthesizer, the SYSTEM-500 is a fully analog recreation of one of the most sought after electronic instruments of all time. Newly designed for the Eurorack format, the SYSTEM-500 provides the classic character and usability of the original with all the advantages of a contemporary instrument. Made in the USA and assembled in Japan, the SYSTEM-500 is built to exacting standards with high quality components and sturdy controls. And it’s surprisingly inexpensive, turning the fantasy of owning this legendary instrument into reality. 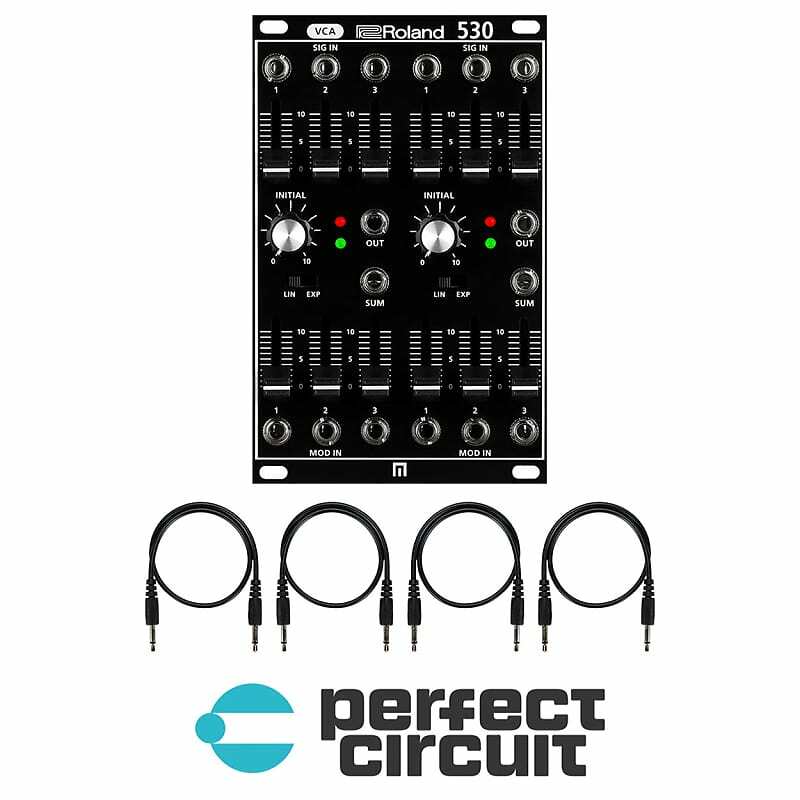 The 530 Dual VCA (voltage controlled Amplifier) boasts two independent voltage controlled amplifiers for controlling the level of audio signals. Each VCA features three sliders for an audio input mixing, three sliders to mix CV inputs, and a selection switch for linear or exponential response. The SYSTEM-500 is a set of Eurorack format modules that can be mixed and matched in any combination to create the ultimate Roland modular synthesizer rig. Each module is fully analog and has been designed for maximum compatibility with the huge world of modern synthesizer and effects modules. The SYSTEM-500 is a compact, powerful system that opens up myriad possibilities for sound design and musical exploration. Based on purchase price of $299.99 at 10% APR for 12 months. Excludes tax and shipping fees, to be calculated at checkout. Rates range from 10-30% APR. Choose from 3, 6, or 12 monthly payments.